Manufacturer of a wide range of products which include specialty felt, felt disk, buffing felt disk and self adhesive felt discs. We have achieved a distinct position in the market by providing Specialty Felt that find wide usage in Polishing and buffing applications. The given felt products are designed in adherence with the quality standards by using basic material and modern techniques. These felt products are customized as per with the varied specifications of clients. Offered felt products are checked at our end in order to supply a flawless range in the market. 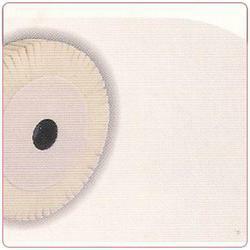 We present Self Adhesive Felt Discs that have been made from the best possible material. 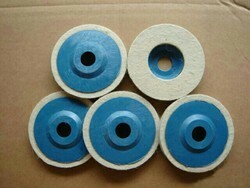 These materials have been made from the best quality material. They are closely packed and are made using no knitting or stitching procedure. They are known for their impressive quality is cherished for. 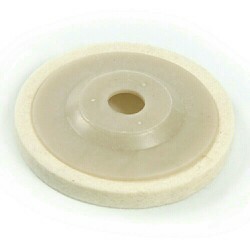 These discs are available in market leading prices with up to the mark performance. Automotive - Engine parts and accessories. Looking for Adhesive Felt Discs ?